Dogs Sleeping Forum • View topic - Dog's Football Thread Part Seven. Dog's Football Thread Part Seven. 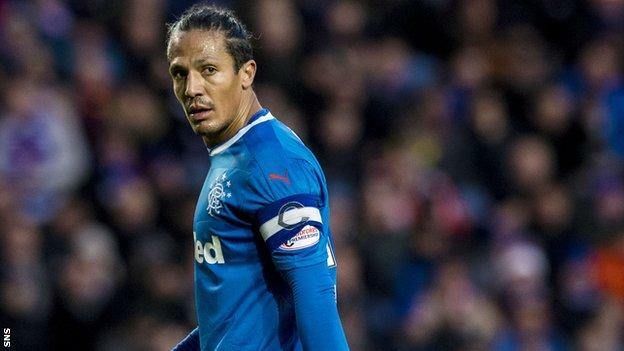 Bruno Alves returns to the Rangers squad to face Ayr United today but is unlikely to start. The Portugese defender has recovered from a calf injury. However Lee Wallace, Graham Dorrans, Ryan Jack and Ross McCrorie are all still injured. It will be interesting to see if Josh Windass starts after his exploits during the week. Making a public dig at your own fans, is never going to end well. It's 43 years since Ayr United last beat Rangers and the Gers have enjoyed some great scorelines against them. Red Okktober wrote: Well played Spurs - we were never at the races. It's nice to be gracious in defeat. VelvetCat wrote: Just watched the Man City vs Leicester match, they are unbelievably good. Glad Spurs won, have liked their style of football for a couple of seasons. The less said about my beloved Baggies the better, Chelsea on Monday night, not looking forward to it, though our injury problems are easing, the other teams at the bottom are starting to pull away. Its not looking good. The Second City derby tomorrow, hoping Blues can beat Villa!! Will be cheering on the Blues tomorrow. Fingers crossed for your lads Cat, i hope they hit a run of good form. They've played a game less than Stoke, win that and they're right back in there. Well I got pretty much everything wrong yesterday, from saying it won't rain to not bothering who kept goal for us. Most of all though that it would be an exciting, hotly contested game - it just wasn't for the most part. Arsenal did what they had obviously planned to do by and large in the first half, they stifled Spurs in every department with Bellerin having Son in his pocket to Koscielny and Mustafi nullifying Kane's every opportunity. The only problem with that plan was that it gave little opportunity to strike a blow in return and our strike force were left twiddling their fingers more often than not. At just over the 20 minute mark a lovely through ball had Aubameyang split Spurs defenders and he was set up with just the keeper to beat, it was a opportunity I'm sure he would have taken successfully, yet he pulled up because he was ajudged offside. It was a dubious call at the time and replays showed he wasn't. At that stage with Arsenal a goal up it would have been a very different game. Nevertheless, it ended 0-0 at half time and we expected more in the second half from both teams. With Rio Ferdinand's prophecy still ringing in my ears about our defence needing to maintain concentration we switched off 5 minutes into the second half and Kane like he does rose above Koscielny and nodded past Cech to take the lead. From that point until the final 10 minutes it was pretty much all Spurs, buoyed up by the goal they tried for a second which would have killed the game there and then because Arsenal were just not at the races after Kane's strike. Spurs were still very wasteful with some of their opportunities though it has to be said some great saves from Petr Cech stopped the goal margin from being higher. Arsenal were shambolic at times giving the ball away far too easy and effortless in trying to get it back. 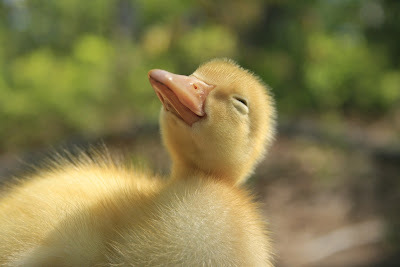 As we approached the last ten minutes Arsenal realised they were toast unless they pulled their fingers out. Changes to personnel mid half had failed to deliver up until then but many a Spurs fan and player would have had their hearts in their mouths as a Wilshere strike tested the keeper and Lacazette squandered two excellent chances to level or even win the game. A last minute free kick could have snatched 2 points from Spurs and it was here perhaps when we missed Alexis Sanchez for the first time, Ozil hit it straight into the wall and the ref blew the final whistle. Not the emphatic win like Arsenal's was in the opposite fixture months earlier but it certainly has more consequences now. As a neutral you'd say Spurs deserved the win, they'd probably be right, Arsenal were just not in it for the most part. I have to bring my pet hate up once again, not just because it's happened in quick succession to Arsenal's new boy Pierre Aubameyang but the PGMOL needs to do somethung about it's officials, not just refs but linesmen trying to make a name for themselves. For the second game in a row Aubameyang has been ruled offside when replays showed he wasn't, they are marginal admittedly but that in itself proves things are going wrong. The call yesterday and in the game against Everton it would have been humanly impossible for a linesman to be able to say with surety that the player was offside, so he must give him the benefit of the doubt, the rules say that - yet they aren't. In yesterday's game for instance Aubameyang's goal would have changed the whole complexion of the game, it might have or not have changed the end result but what it would have done is make the game a whole lot more exciting, which is what it's supposed to be all about, isn't it? The offside law needs reviewing once again so that we can get away from these 'wannabe' refs who run the line trying to prove what fantastic eyesight and decision making they have, otherwise it won't only stop the enjoyment of the game it will destroy it in the end. Yesterday Arsenal were ruled offside 6 times to Spurs 1 at least 3 of those were marginal. Obviously, I notice these more with Arsenal because I have a vested interest but I know it is happening all the time with other teams and it has to stop. So back to Arsenal and we have big problems. Not only have we made it doubly hard to achieve top four we have new players who are not cutting the mustard. It's far too early to make judgements on Aubameyang, new to the Premier league he needs to find his feet, not so with Mkhitaryan and Lacazette. Mykhitaryan was hauled off yesterday for precisely the same reasons he failed to establish himself at Manchester United, going missing and failing to do his defensive duties. I think we have another Ozil on our hands, brilliant when they feel like it, anonymous when they don't, Ozil wasn't much better yesterday either. Lacazette should have settled and sussed out the Premier league by now, yet he's full of self doubt and his confidence is shot to pieces. I've always said that players with remarkable European pedigrees often struggle in the Premier league, he has I just hope the same won't apply to our newest arrival. Our best players yesterday were Cech in goal, those performances though don't come in every game and Mustafi put in shift too but he's the same. By a country mile Jack Wilshere was our best outfield player yesterday, since coming back from on loan he has barely put a foot wrong and if Arsenal don't make every effort to keep him after this summer then it will be sheer negligence, injustice and foolhardiness. Top four still isn't unsurmountable but it's rapidly fading with every game we fail to win. From now on draws are as unacceptable as defeats so Wenger needs to identify the problems and deal with them asap. It is looking more and more likely our best chance for Champions league football is through the Europa and that is far from certain with the calibre of teams still in the hunt who take the competition far more seriously than English clubs do. We go away to Scandinavia on Thursday, no doubt we'll beat the minnows, it's the bigger teams left we need to worry about. Trapper John wrote: So back to Arsenal and we have big problems. Not only have we made it doubly hard to achieve top four we have new players who are not cutting the mustard. You don't like my pics? Cracking photos and am glad you and Toots had a great time! I'm not surprised you couldn't be arsed logging in last night, it's was an awfy long day. I was grew very fond of Chirpy yesterday, it's that toots in the photo wearing a Chirpy hat? Oh and the crabbit one doesn't lose gracefully so ignore him. Crabbit one!! Never heard that word before...love it! Did Harry blow you a kiss?